We've just gotten back from a very fun day (and night) at World of Fun and Oceans of Fun in Kansas City. As you know, we went there to partake in all the good stuff that they have going on this weekend (more details were posted here.) While we didn't arrive until after 5pm, the overcast weather and the late night park hours made it perfect for a big family like ours. There was lots to do, and the crowds weren't bad at all! First, we headed to Oceans of Fun. 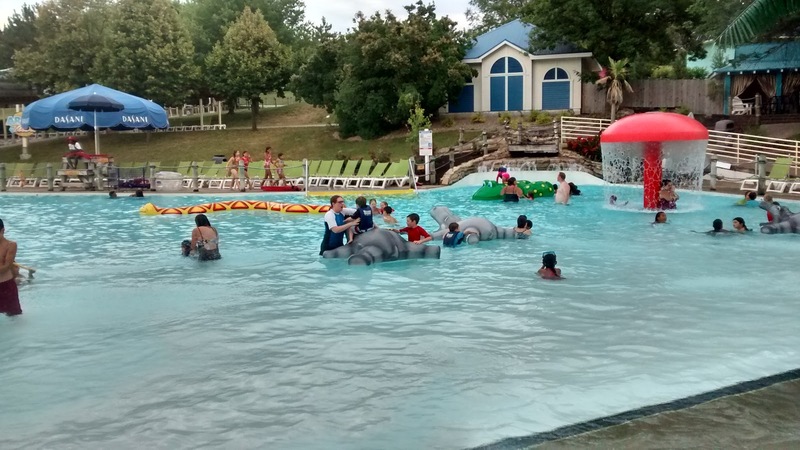 My kids had never been, so I took the little ones to the smaller pools and activities, while the bigger kids hit the water slides. 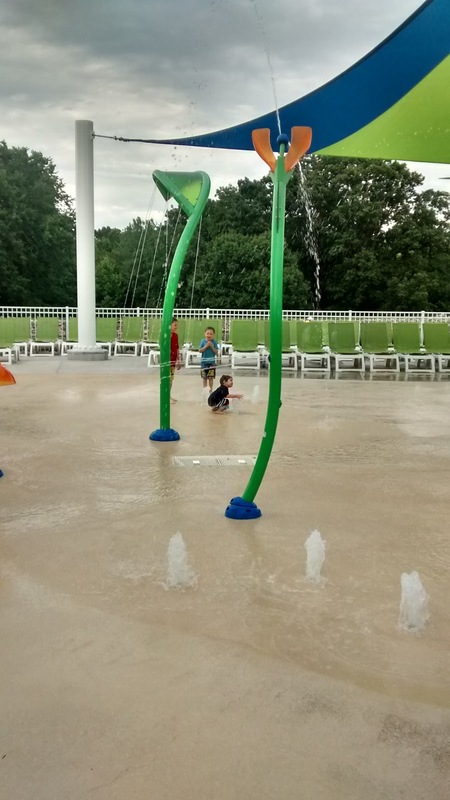 The boys really enjoyed the interactive splash pad, called Splash Island. With the water no deeper than an inch throughout, I felt good letting the 2-year-old play with his brothers as I looked on. A giant bucket of water dumped on the kids every few minutes, making it a very wet adventure! 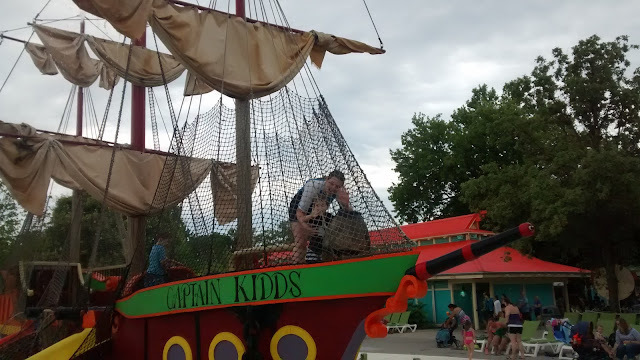 After our time at the waterpark was done, we walked through to Worlds of Fun in some dry clothes. 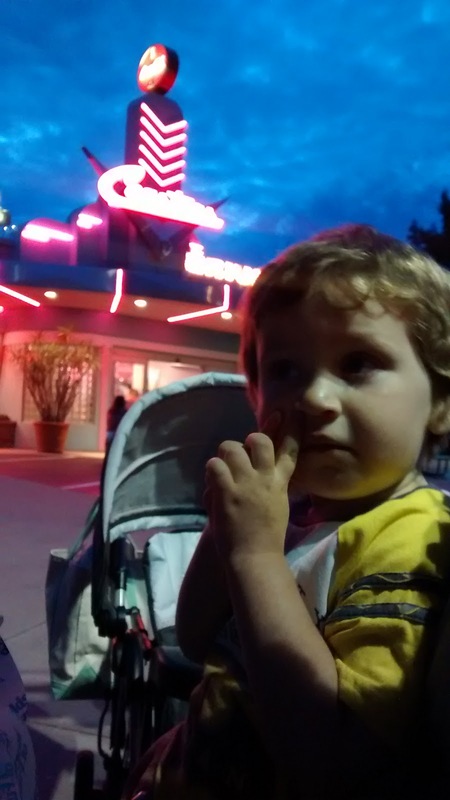 It was already getting dark, so we grabbed a burger and fries from the diner. The kids were stuffed! Then we headed to Planet Snoopy for rides, rides, rides. The entire time we played, we were able to enjoy the overhead fireworks, which are going on at 10pm tonight, the 3rd, and 4th of July, as well! 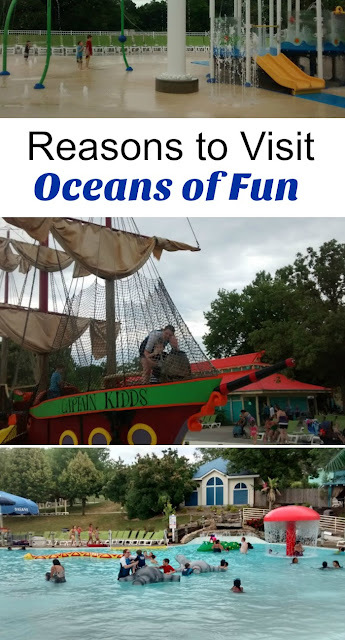 If you haven't made plans for this weekend, I highly recommend a fun-filled day of water and rides at Worlds of Fun and Oceans of Fun. 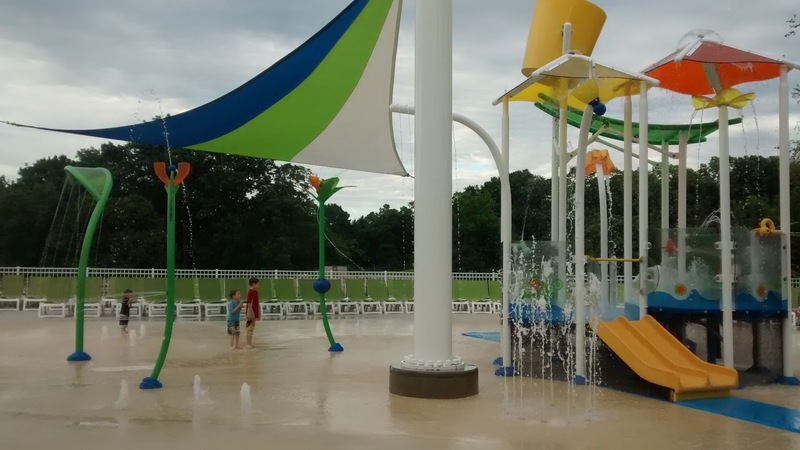 One ticket gets you access to two parks. The water park is open until 9pm, and the rides are open until midnight! I couldn't believe how many little kids were still enjoying rides at 11:45 pm last night. Parents looked really tired, but you could tell that they loved giving their families an adventure they wouldn't soon forget. I can't wait to celebrate Independence Day (and my hubby and my birthdays) at Worlds of Fun next year! Get your tickets now, or take advantage of the free veteran's tickets during this holiday weekend promotion! 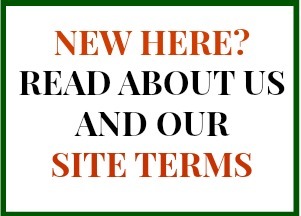 Disclosure: Our park tickets and meals were complimentary from Worlds of Fun, as part of a partnership of sponsorship by Cedar Fair Entertainment Company in conjunction with Blog Meets Brand. All opinions are my own.